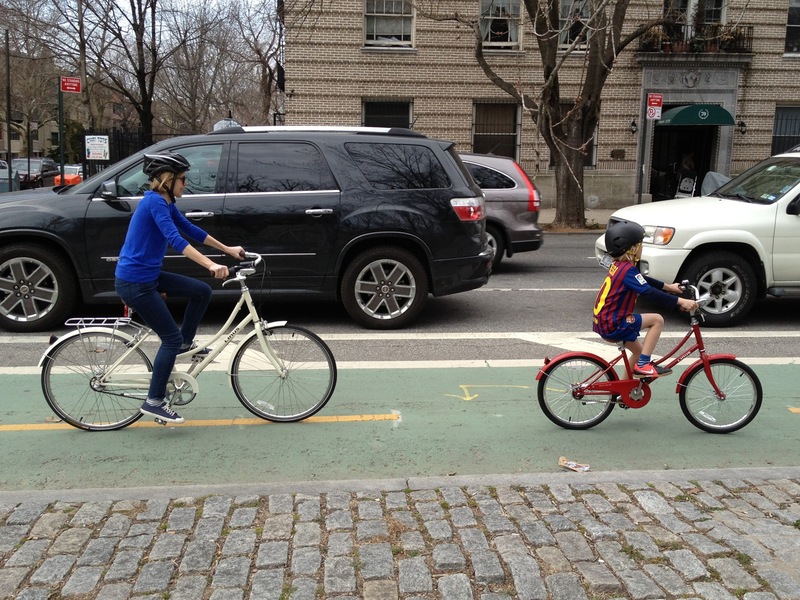 As the world moves into a bike-friendly future, NBBL still has an active lawsuit against this. This is bad news for tabloid writers, editors measuring page views, and notorious bike lane opponents such as Iris Weinshall, Norman Steisel, and Louise Hainline, but good news for everyone else. Burkeman writes that “the anti-bike lobby urgently needs some new arguments,” and provides a few suggestions. In some contexts, bikes are much more dangerous than cars. Consider a heavy bike, dropped from a height of 20ft onto a playground where numerous small children are playing, innocently unaware of the tragedy about to befall them. Now compare this to a car parked on a quiet street. Only the most biased, Brooklyn-dwelling NPR listener could deny the obvious: the bike, in this example, is much, much more dangerous. It’s ridiculous, of course, but in a way it makes more sense than the bike lane that is unnecessary because no one uses it but dangerous to cross because of the many cyclists using it. Actually in this instance, shopping carts are much, much, much more dangerous than cars. I heartily agree with your logic.